Looking for good books to read over winter break? 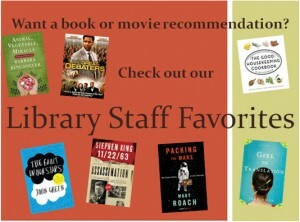 The library staff have compiled some of our favorite books and movies and have created a display downstairs on the lower level of the library. We hope you find something good to read or watch over your winter break! We would also enjoy hearing about your favorites. Feel free to post comments to share a book or movie that you recommend.